Front National leader Marine Le Pen has called for a new French currency and pledged to hold a referendum on the country’s membership of the European Union if she is elected French President later this year. In an interview for news channel BFM TV, Ms Le Pen called for a “national currency”, although she stopped short of calling for the abolition of the euro, indicating instead that the two currencies could work side-by-side. “I want a national currency with the euro as a common currency,” she said. 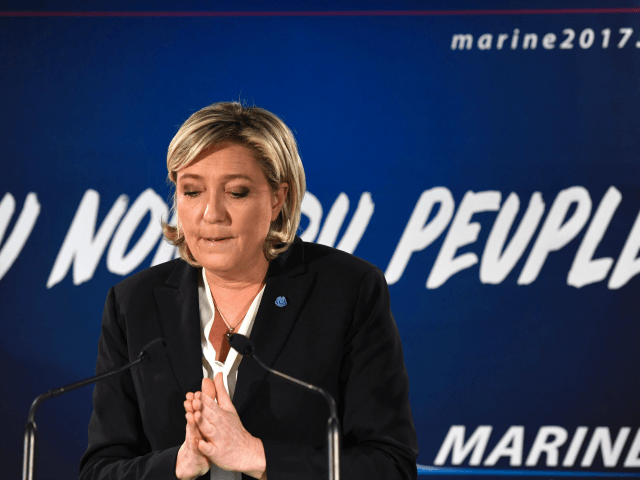 In words that show how the Front National candidate is positioning herself ahead of this spring’s election, Ms Le Pen also called for the abolition of Europe’s open-borders Schengen agreement, noting the various terror attacks that took place in the country in 2016. Asked by a questioner called Nabil why it was his parents could not vote despite having residence permits, Ms Le Pen was defiant. She also said that she remove the right of migrants to acquire French citizenship just by being born on French soil, or having resided in the country for a number of years. The interview came after Ms Le Pen denounced French President François Hollande for criticizing the rise of populism as “isolationism”. “Like many other political figures, [Hollande] completely renounces the restoration of democracy and independence which is so ardently the wish of the French people,” she said.